There may be no better competitive advantage in business than to be able to offer a valuable solution for free for which a rival must receive remuneration to stay in business. The idea follows the line of the business axiom to give away the razors (a durable) for free so that people buy the razor blades (a consumable). It’s a dynamic that, for another illustration, means that there really cannot be a viable consumer printer seller that does not also sell printer ink…and then generate all sorts of safeguards, IP and otherwise, to protect that revenue stream of ink sales. 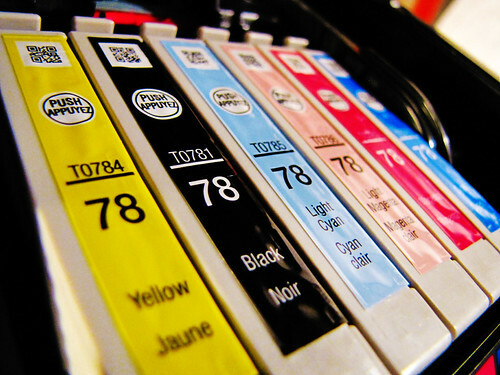 When competitors like Epson, Canon, and HP find a competitive equilibrium with a combination of products – they all sell the printer and ink combinations – traditional competitive dynamics develop over differentiation and price. A combination becomes a marvelous combination when you can give away a part of a solution that competitors cannot. Classical strategists call this an asymmetrical advantage. IP practitioners can gain asymmetrical advantages over their rivals under certain conditions by doing something counterintuitive – giving valuable-to-them IP away. Asymmetrical advantages often provide the only real way to compete with dominate players on the market. The success of open source software solutions, notably Linux, provides a prime example. The open source community presented an alternative to Microsoft operating systems for end users in the one way that Microsoft did not and could not have an answer. They gave a good operating system away for free. Companies like Red Hat and Novell then built other saleable solutions around the free IP from which to generate revenue and therefore their marvelous combinations. Free IP that is also good IP has a way of propagating into the market. It can not only serve as a way to compete with dominant players, it can also serve as a way to secure open markets. Think about Facebook for illustration. Facebook’s IP isn’t free for other companies to use, but it is free for the end user. It is a marvelous combination that competitors cannot match given that the only way to beat free on an equivalent solution is to start paying end users to become customers … an approach that has some real shortcomings as a business model. IP strategy plays can have a similar effect to win markets when the IP given away is as good as or better than the IP another company sells. The definition of free can also be “free” relative to other solutions. Although dated, the Beta vs. VHS competition is a perfect example given that by making licenses to the VHS format freely available for a reasonable royalty rate, the company Matsushita built a market standard for VHS that crushed proprietary Beta from Sony. This created a marvelous combination for Matsushita given that it could succeed in the video tape market regardless of whether anyone bought its tape player or that of another company. Matsushita actually did better by, in a sense, giving away video tape player customers to competitors so that those customers would build and use the VHS standard. Think about the marvelous combination when you work to build your business. Can you create one? IP may be one of your vehicles for doing so considering what you give away and what you keep. Defensive publications can help you to communicate freely available IP that can build marvelous combinations, and liberal licensing terms may have similar effect. This is an interesting take on IP. I like your idea of giving away the printer for free and selling the ink, makes perfect sense. I didn’t realize the role of IP in the VHS/Beta story, I had thought it was strictly a market timing issue. Great closing line which really drives home the point of your article and wraps it up nicely! Thanks John – I have heard many folks from HP call their company “an ink company,” all high-tech products that people may think about first aside. A few months ago, after I bought a Canon 5d, Canon offered a discount and rebate where I paid about $270 for a printer that listed at $900. The printer is programmed to direct me to the Canon Web site when the well runs low to make sure I can keep printing those photos…and BTW, the Canon paper isn’t cheap either:) I am perfectly happy with this arrangement as a customer because the whole package really delivers at or above the level of the Ritz printers where I used to go. I haven’t studied it, however, I expect someone could write an interesting report about whether and how much also having the camera and associated IP helps Canon move consumable ink and paper versus rivals HP and Epson.